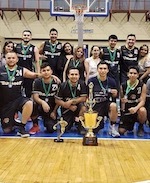 Bulldogs celebrate LNB Segunda title beating Wizards 69-57 in the decisive game. Bulldogs enjoyed a 41-28 halftiem advantage and managed to seal the necessary win. 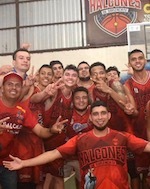 Fernando Rodriguez Cortez top-scored for the winners with 18 points, while Kevin Gutierrez collected 15 points and 17 rebounds. Carlos Gomez and Jose Ramos followed them with 13 points apiece in a win. Leonardo Hernandez replied with 24 points in the losing effort. Nift Al-Janoub (IBL) inked American forward Nigel Grant (201-111kg, college: UNC Pembroke). He joins another USA player Darious Clark which is already in the roster. Grant played in the summer at San Salvador BC in Salvadorean Liga MB. He helped them to make it to the semifinals. The last season Grant played at the University of North Carolina at Pembroke in NCAA2 where in 33 games he recorded very impressive stats: 16.0ppg, 7.2rpg, 1.0apg and 1.0bpg. He just graduated from University of North Carolina at Pembroke and it will be his first season in pro basketball. Grant's team won PeachBelt Tournament for two years in a row (2017 and 2018). He received All-PeachBelt 1st Team award in 2018 at his college time.